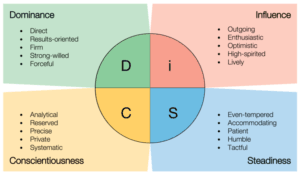 Everything DiSC Training for Teams & Leadership - MDR Coaching & Consulting Inc.
Everything DiSC® tools are designed to help you understand yourself AND other people too. DiSC solutions help you build more effective working relationships based on an understanding of different behavioral styles. for individuals, teams and organizations! Everything DiSC® Productive Conflict offers in-depth, highly personalized content. Online tailoring options make it easy to design a customize the program that’s right for your organization.